Right ascension: 23h 13m 51s Declination: +61° 32' 14"
60x40s frames. Captured in K3, debayered in AVIRaw, stacked in Registax, curves in photoshop. Noise reduction in Neat Image. 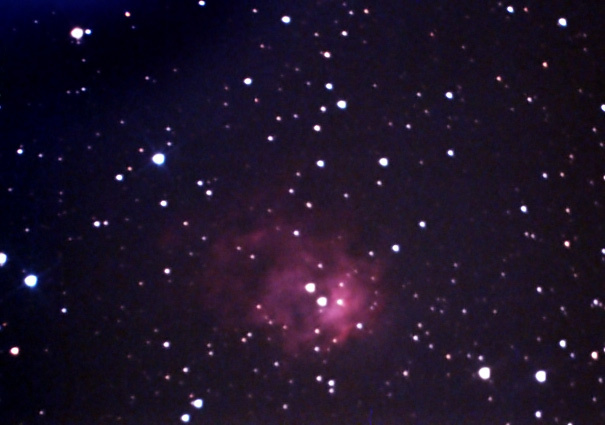 The image had to be processed heavily - and the amp glow turned out as a bit of a mess in the top left.